Phoenix III on loistava Orange Beach sijainti lähellä ravintoloita ja ostosmahdollisuuksia. Se sijaitsee kauniilla venyttää leveä, sokeri-valkoinen ranta pitkän kantaman näkemyksiä. Meidän lahden edessä yksikkö nukkuu 5 ja on loma valmis kevään ja kesän Getaways. 🔹 Twin Sleeper "Tuoli ja puoli"
Phoenix III on täynnä mukavuuksia ja on sisä- ja ulkouima-altaat, lapsi-altaat, valaistu tenniskentät, racquetball tuomioistuimet, porealtaita, saunoja ja kuntoiluhuoneita. Rentoudu Gulf-edessä parvekkeella tai mennä altaan kanssa huvimajat ja grillit. Nauti ilmainen WiFi huoneisto. We enjoyed our stay in this condo! Perfect for our family of 4! Very nice and clean condo. Great ocean view from the 14th floor balcony. Short walk to beach. Beautiful white sand beach. Great dining options within walking distance. Friendly staff. Will definitely be back. Beautiful place with awesome views!! Very nicely furnished. We saw dolphins from the deck a couple of times. Kitchen had about anything you might need. We would love to go back!! John is an excellent host. We had one small issue with our patio door and he got right on it. Had a great stay. This property has some age on it but overall it is well maintained. Found lots of new places we didn’t see whe we were here last September. We’ll def be back soon! The place was clean, beautiful, and in a great location!! The owners are very thorough and we never felt like we needed a thing. Everything about it made it a very relaxing trip! Thanks so much for your comments. 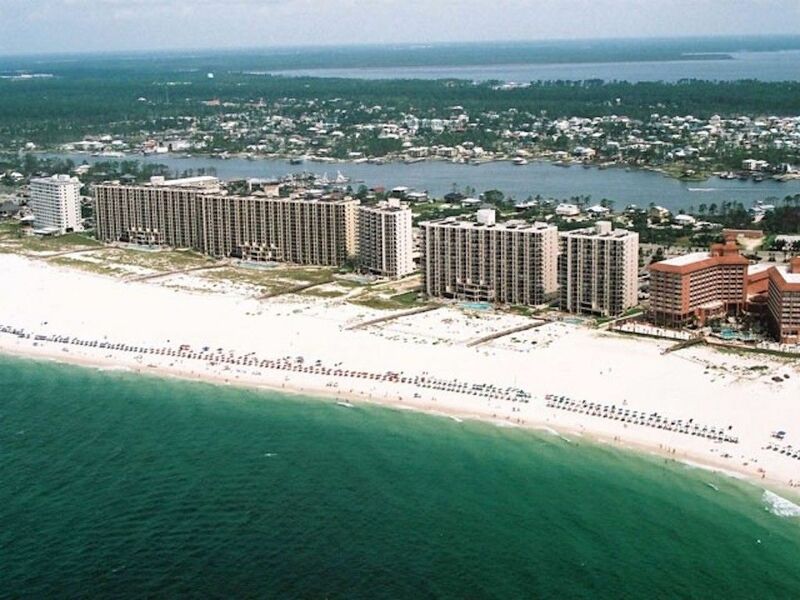 Our 1 BR Phoenix III condo is our favorite for short getaways to the beach. Please keep in touch if your travel plans ever bring you back to the Alabama Gulf Coast. Perfect for a couple. Amazing views. Clean, with everything you could need for a short, or long stay. Amazing gulf views, with a great balcony for relaxing . Felt very comfortable, and the owners were very welcoming in making sure we had everything we needed for check in, and a relaxing stay. Would highly recommend. Kun päivän auringossa rannalla tai linkkejä, sinulla on kokonaan uusi maailma tutkittavana yöllä. Näyte joitakin absoluuttisen tuoreita mereneläviä yksi monista ravintoloista, bistroja ja kahviloita. Sitten hyödyntää minkä tahansa määrän huvituksia, jotka vaihtelevat perheystävällinen Rockin 'ja riehakkaita. On uskomattoman erilaisia ​​elävän musiikin kuultavaksi lähes joka ilta. Voit valita throaty jazz, hyvä Etelä delta blues, Karibian Calypso tai ja tulevina maa tähdet. On näytelmiä, tanssia, ja vapaa konsertteja ympäri kaupunkia. PLEASE READ ❗️ We accept payment through VRBO/HomeAway online credit card system. We also accept personal checks and eChecks but only when discussed and approved prior to booking. Travelers can pay in full at time of booking or in two or three divided payments. The system is automatically set for two payments. If the three payment option is preferable, please notify owner at the time of inquiry as this cannot be changed after the reservation is accepted. If payment by check is preferred, please alert owner at time of inquiry. In the event that payment by check is agreed upon, the VRBO/HomeAway service fee plus an amount equal to the security/damage deposit must be paid by Credit Card at the time the reservation is made in order to secure the reservation. Regardless of the method of payment, all funds must be paid prior to 30 days prior to check in for short term guests (less than 28 day stay) and prior to 60 days for our long term guests (28 days or longer). The cancellation policy is covered in detail in our rental agreement. In general, all monies paid are refundable if cancellation is requested prior to 30 days before check in for our short term guests. For our long term guests (28 days or greater), cancellation must be requested prior to 60 days before check in. Please contact the owners to discuss these payment options and policies if there are any questions. Until confirmed, all rates and deposit amounts are subject to change without notice. Check-in is at 4:00 pm. Check-out is at 10:00 am. Until confirmed, rates are subject to change without notice.